India is a land of snake charmers? No, it certainly is lot more than that! And, this August the Indian Cultural Association (ICA) brings the true flavors of India to Portland with the India Festival. The festival celebrates the 60th Independence Day Anniversary of the largest democracy in the world. You can expect lots of fun, frolic, music, dance and the true flavors of India brought out right here in the heart of Portland. The ICA is a non-profit organization that serves the purpose of bringing Indian culture and maintaining the Indian cultural traditions and awareness in the city of Portland. Established in the year 1980, the organization has been serving the community for more than two and a half decades now. The Indian community in Portland accounts for more than 10,000 individuals, and with its work, the ICA has been helping Indians living in this part of the world to reconnect with their roots. Hosted and organized by the ICA, the India Festival is by far the largest and the most loved Indian festival in this part of the world. Celebrated in honor of the Independence Day of India, it brings people together from near and far especially, from India, to be part of the festivities and drench themselves in the feelings of patriotism even when they are away from their mother land. The festival will be celebrated on the 13th of August. The revelries will start at 11:00 AM and continue until 8:30 PM. Live music, Dance, Food and lot more! Each year more than ten thousand people become part of this truly colorful and mesmerizing event that brings the true feel of India to Oregon. If you want to experience the true taste, sight and sound of the country, then being part of the India Festival is a great opportunity. A great thing about the India Festival is that it is not here to simply embrace the feeling of patriotism and celebrate the independence day of the country. It can be looked upon as a stage to showcase the talent that the Portland community has as well! Really? Yes! Anyone can come and participate in the event as a performer. If you love dance, music, acting or any other dance form for that matter, you are welcomed to be part of the India Festival. Bring your friends, family and everyone else! The India Festival brings the real colors and flavors of that amazing country to Portland. 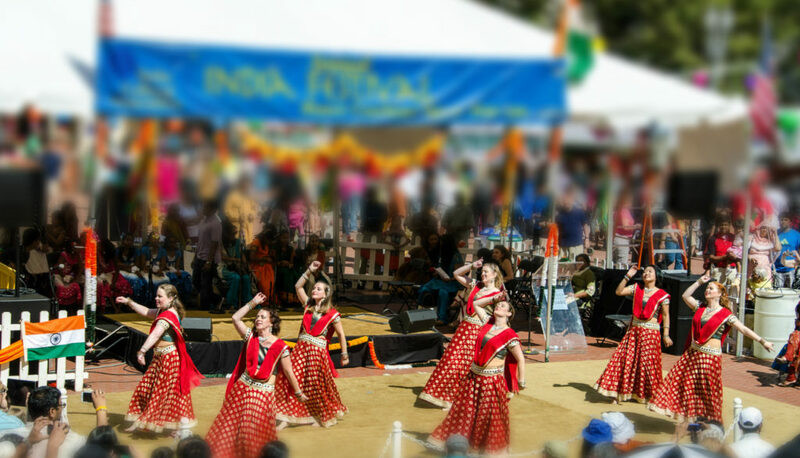 If you want to get a free taste of all this and have a great weekend experience, then don’t forget to visit the Pioneer Courthouse Square on the 13th of August, 2017 to celebrate the 2017 India Festival!